I wanted to get a few items to my liking, example a certain pattern and a few things I will need for baby comes. My baby's room is almost complete. The few items I got from Amazon I would like to share with you. 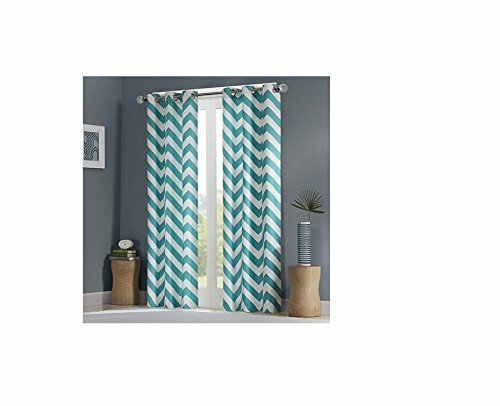 I am doing my baby room in chevron, gray, teal, and white. These curtains are perfect. I wanted them to touch the floor but my husband said to get 63" ones. They will do the job though. You can get them in different colors that are available or find similar ones that are a different brand. In this picture ( not my room) the walls of my baby room is about the same. So the curtains works well in the room. The curtain rod I picked is from Walmart. I did not want to spend to much money so I got a cheap one. That can be bought here. 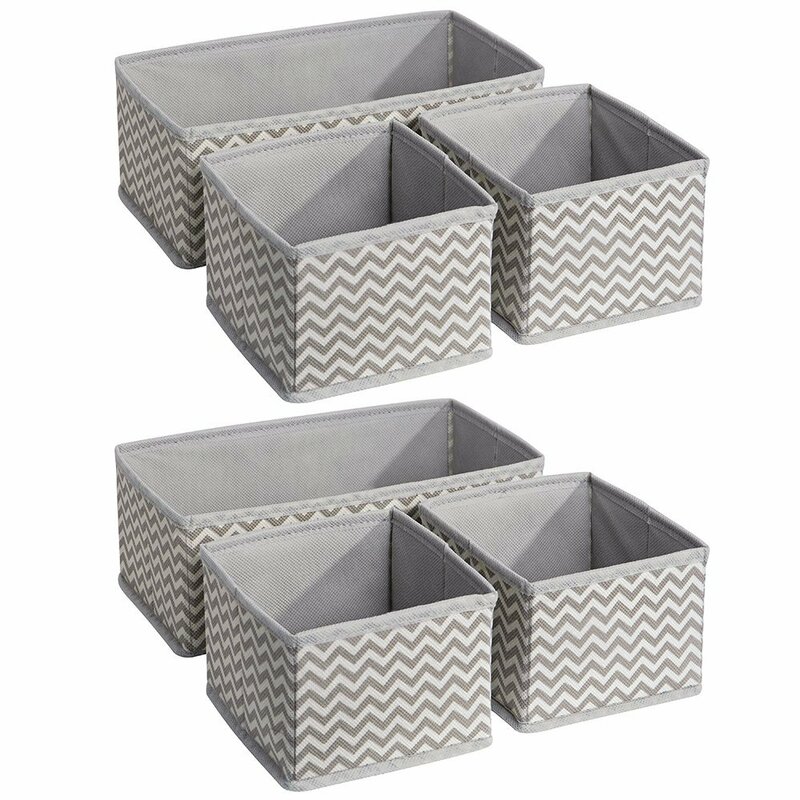 I Plan to put these type of storage bins in the dresser draws to help keep myself organized. These can also be put on a shelf or where ever you would like to use them. I wanted a chevron pattern, so where else to them Amazon. You can find a lot of items you need in a certain color, size or pattern on that site. I got two sets of these. I recently got similar storage bins at the dollar tree. They are not as sturdy as these ones but will work for what I need them for. I just wanted this pattern. These turned out to be a really good size. If you are on a budget and would like to save some money I would check you local Dollar Tree store. Since baby items are small, these work great to keep you organized. You can also use these for a lot of different items through out your house. As I stated above I wanted some of my items to be chevron pattern. Although this item will be put in a pail( garbage can) you won't see much of the pattern. 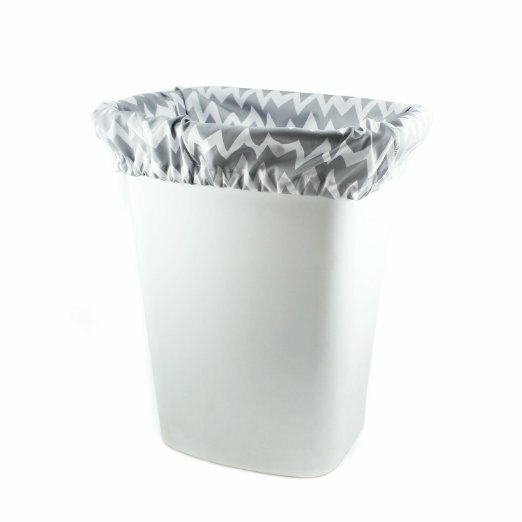 A diaper pail liner is a liner that goes in a pail to keep your diapers in. These come with a pul lining to keep the outside dry. There are many brands of liners as well as size, color, and how its designed. This is the one I chose. The brand of this one is Bumkins. As the picture shows, I will get a similar can to put my liner in. Mine will have a lid though. This product is almost a much have when cloth diapering. Thanks for checking out what I got. If you have any tips for cloth diapering please comment to help out. 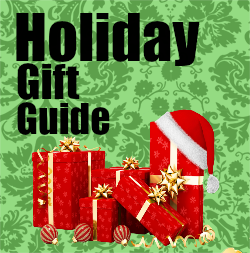 don't forget there are clickable links to these items if you are wanting to purchase.